Just in time for the holidays, this Persian inspired dip is one of my favorites and can be whipped up in a food processor in minutes. Toasted walnuts, herbs, scallions, and tangy feta brightened with a squeeze of fresh lime juice, it's truly delicious! 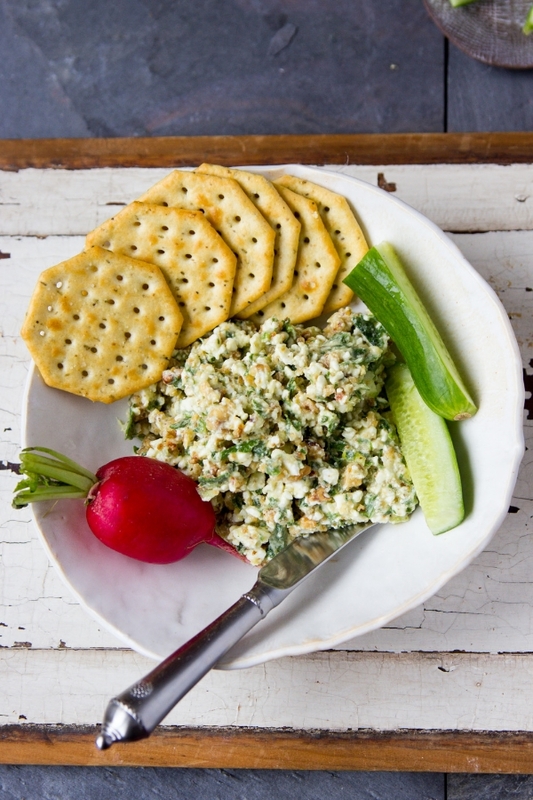 Serve it with veggies, crackers, or toasted pita bread. Let the celebrations begin! To toast walnuts, place them on a baking sheet and bake in a preheated 350F. oven for 5-7 minutes. Place all ingredients (except garnish) into the bowl of a food processor fitted with the blade attachment. Pulse until chunky. Transfer to a serving bowl and garnish with cucumbers, radishes, toasted pita cut into chips, or crackers.